Scars occur when the deep, thick layer of skin is damaged and when your body forms new skin collagen to repair the damage, it will usually result in a scar. Treatment can be hard and complicated. 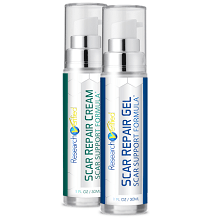 With so many scar treatments available on the market, it can be hard knowing which is right for you. This Skinderma Pro review is going to take a closer look at the facts and information to learn more about how this scar treatment works and to see if it’s worth trying out for effective results. The manufacturer claims that their product is a 100% pure liquid concentrate, contains no water, fillers, bulking agents or artificial chemicals that can easily penetrate the skin barrier to deliver active ingredients to the heart of where the skin damage originates. Calophyllum Inophyllum has skin healing, antineuralgic, anti-inflammatory, antimicrobial, antibiotic and antioxidant properties which is believed can improve the condition of your skin. Pomegranate seed extract has Punicic Acid which reduces skin inflammation and aids in skin repair. It also hydrates your skin and can help prevent the loss of moisture. 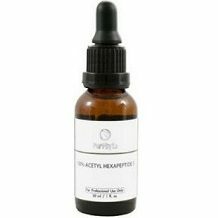 Rosehip Seed has trans-retinoic acid which delivers a natural boost to the regenerative ability of your skin cells. Immortelle can improve the blood circulation underneath a bruise to help it heal faster. It contains Italidione which is a substance that gives the oil the power to heal the skin and improve scars. The manufacturer recommends applying one or two drops to small or medium-sized areas. Apply it until it is absorbed. You can repeat this dosage two or three times a day. This product contains extract is derived from nuts so it is not recommended for those with nut allergies. You can purchase Skinderma Pro directly from the manufacturer. One 11 ml bottle costs $39.97 on the manufacturer’s website. They also offer the option to purchase a 66 ml bottle for $87. They do not offer any discounted bulk purchasing packages. The manufacturer offers a 90-day money-back policy. Skinderma Pro appears to be decent. It is made with a variety of ingredients that have been shown to have the ability to repair damaged skin and it comes in a liquid based formula which makes it easy to apply. However, we were immediately put off by all of the spelling mistakes and discrepancies. It makes their company and by default, their product, appear to be unreliable and unprofessional. Furthermore, while their formula has many ingredients, we found it to be lacking key ingredients that most other effective scar treatments contain. With so many scar treatments available on the market, you are better off choosing one that is made by a professional company and one that is made with effective ingredients.